Paul Galland was the youngest of the Galland brothers.  He joined JG 26 as a Leutnant in February 1941 having completed his operational training with Ergänzungsgruppe/JG 26. He was assigned to 8./JG 26. He scored his first victory on 6 July when he shot down a RAF Spitfire. By the end of 1941 his score had reached three. He recorded his 10th victory on 3 May 1942, another Spitfire shot down over Calais. On 31 October 1942 Galland participated in the vengeance raid on Canterbury. On the return flight Galland answered a call from a German pilot being attacked by a Spitfire. The Spitfire spotted Galland’s approach and pulled up into the cloud cover. Galland attempted to follow but stalled and had to dive away to regain speed. The Spitfire took the opportunity to dive from the clouds and shoot down Galland’s Fw 190 A-4 (WNr 2402) “Black 1”. 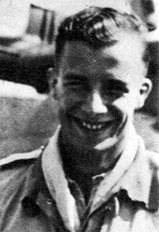 Paul Galland was credited with 17 victories in 107 combat missions.